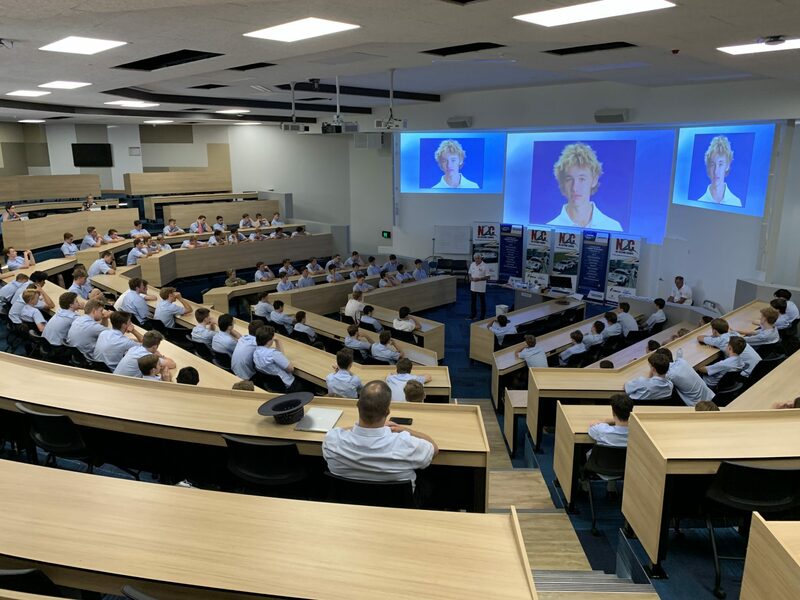 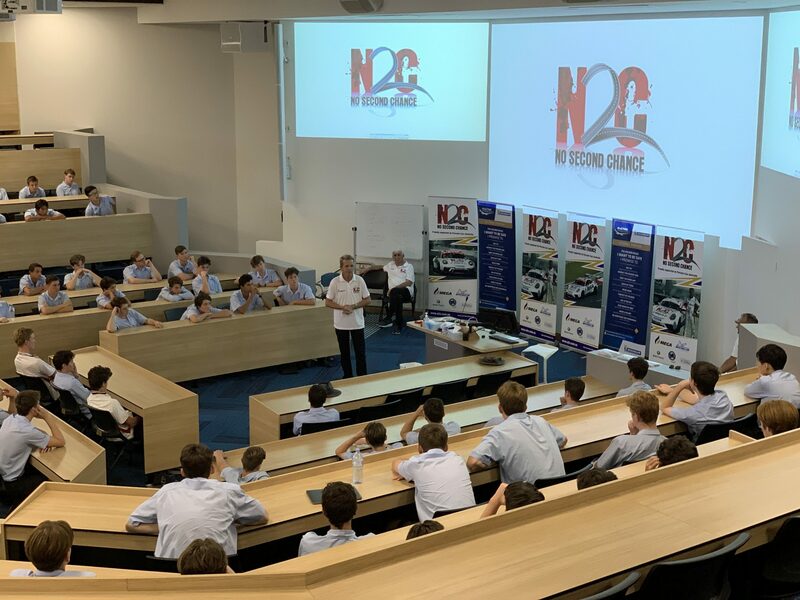 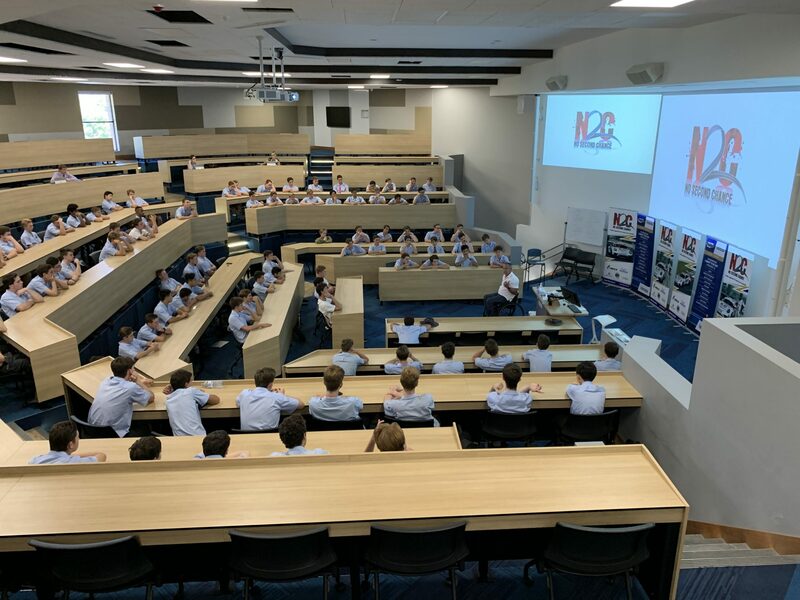 Last Friday, Year 12 Leadership students were visited by the team from N2C which stands for No Second Chance and was set up by Andy and Mel McElrae. 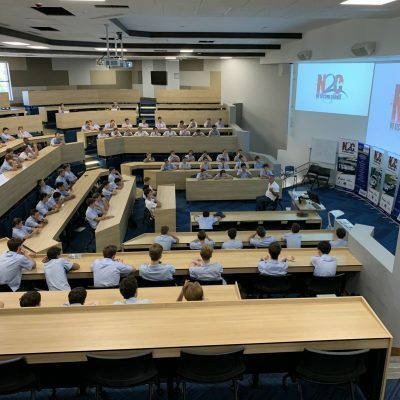 Andy is the Principal of McElrae Racing and their Principal driver in the Porsche Carera GT Cup series for 2018 was former student Jaxon Evans. 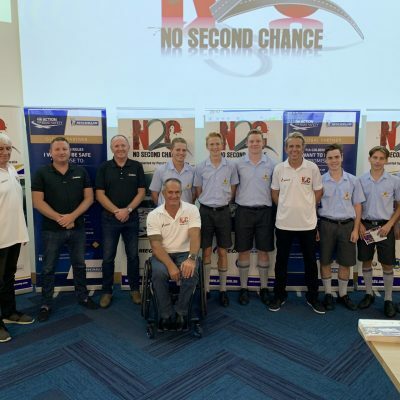 This year’s Principal driver and team member of N2C is Warren Luff a five time Podium finisher in the Bathurst 1000 as well as multiple victories and placings in the Super Car series. 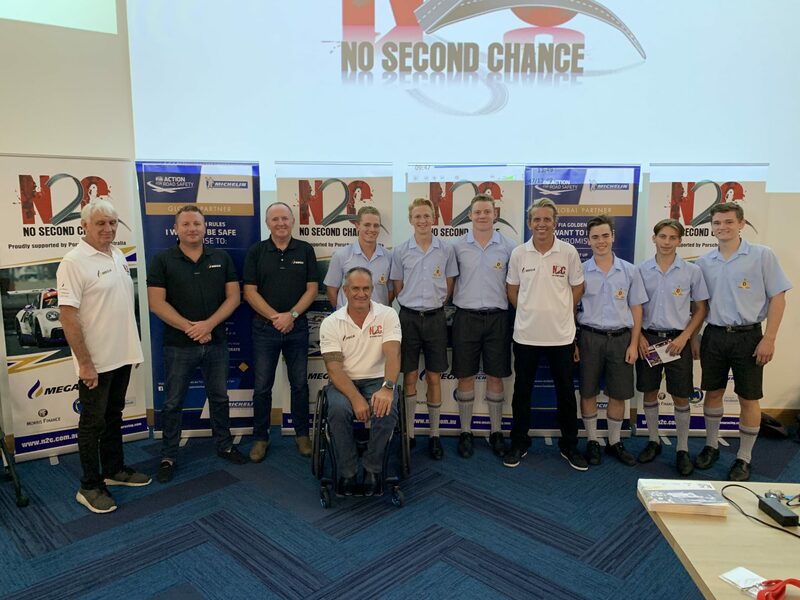 Joining Warren on the N2C team were Matt Speakman, a Paraplegic motor sport driver and down-hill skier who was injured when his motorcycle was struck by a drunk driver and Paul Stanley, father of Matt Stanley who was killed in a 1 punch alcohol fuelled assault when he was just 15 years old. 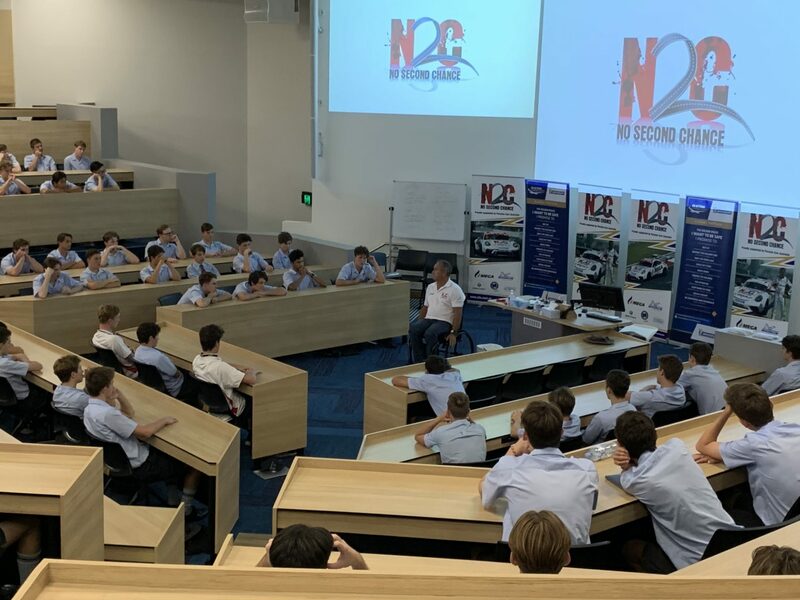 N2C aim to educate students with real world stories about decision making, both positive and negative, and the consequences of those decisions and actions. 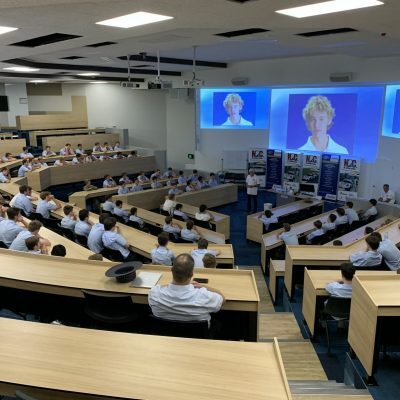 The stories of Paul and Matt are incredibly sad but are also valuable for educating boys about the consequences of their decisions. 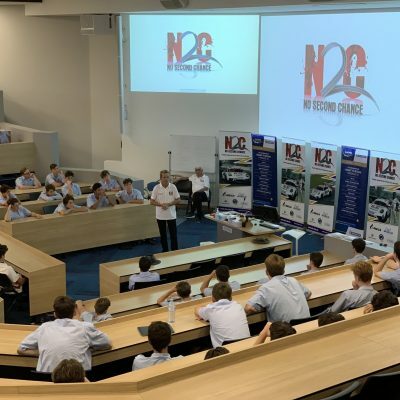 Warren’s story of positive outcomes from making good decisions was uplifting and having someone of his racing pedigree in the room, helped to reinforce the N2C message. 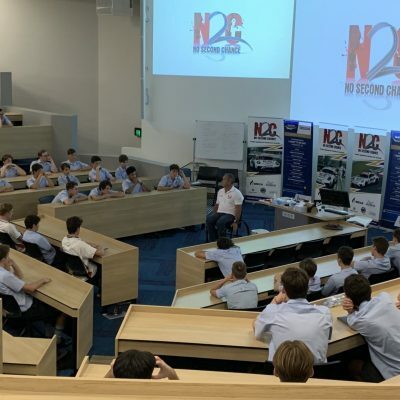 I would like to thank Andy, Mel and the N2C team for coming back to TSS for the seventh year in a row.